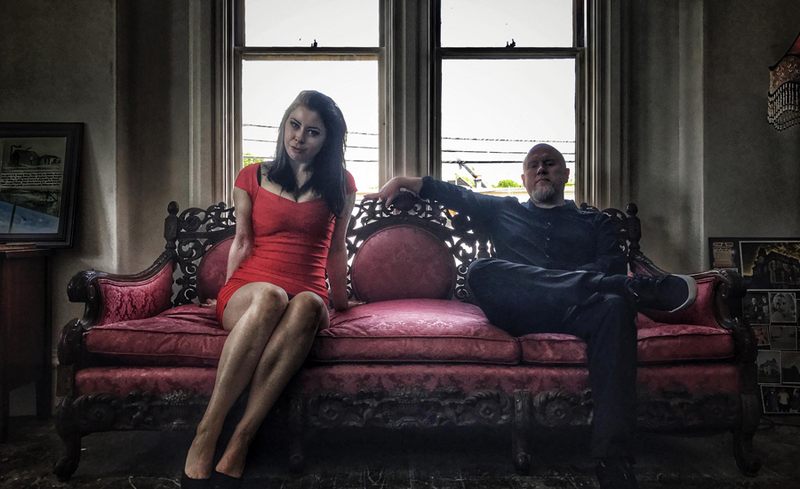 While known primarily for Assemblage 23, with an upcoming appearance at ColdWaves L.A., Tom Shear embarks on a new musical adventure with Mari Kattman in Helix. 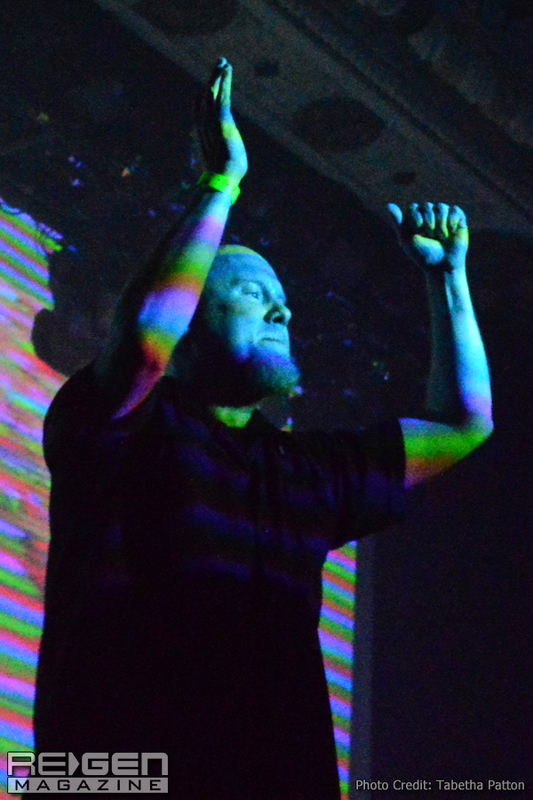 Since the release of his debut album in 1999, Tom Shear has gradually risen through the ranks to become a prominent figure in the realm of underground electro/industrial music. Blending the hard dance elements of EBM and early industrial with a sharply melodic sensibility akin to synthpop, and a polished production style that has incorporated sleek trance with dirty industrial textures, Shear has taken Assemblage 23 to the heights of the scene and back. Having performed on numerous festivals and stages, 2017 saw him bringing A23 to the Chicago ColdWaves event, with this year marking his return for the Los Angeles leg of the prominent benefit. As well, he’s produced and remixed a bevy of artists and released music under various side projects like Nerve Filter and Surveillance, but neither of those would reach the acclaim of Assemblage 23. 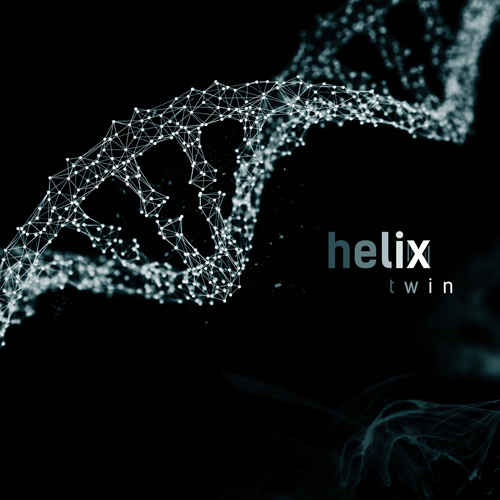 However, his new project – titled Helix, a collaboration with vocalist Mari Kattman – may change that, with the Twin debut album to be released on August 24 via Metropolis Records. ReGen Magazine had the opportunity to speak with Tom Shear about his new band, focusing on its varied range of influences, his taking a step back from the role of front man, and the upcoming ColdWaves L.A. appearance. 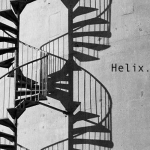 Can you tell us a bit about Helix? How did it come together? How was your approach different than writing Assemblage 23 songs? Shear: Many years back, I got a message on Facebook from a guy named Joe who had a project called Day 12. It was very well done synthpop stuff with a bit of a Depeche Mode vibe and a really impressive female vocalist. Mari had written to me thanking me for the comments I had on their music and we got to talking and realized our personalities really gelled. So, at one point, I had a track I was doing some vocals on for iVardensphere. It was at that point that I realized it needed another layer of vocals, but it would be too high for me to sing, so I contacted Mari to see if she’d like to contribute to it. Not only did she knock it out of the park, but she did it fast and it was perfect. We ended up collaborating on a few other things and every time, the process was just very natural and easy. So, the natural conclusion was, ‘Hey, maybe we should try making our own project.’ We did a sort of test track and it came out so well we knew we had to turn this into a full blown project. As for how it differs from A23… honestly, I don’t think it sounds much like A23 at all. There are some moments here and there, but the idea was to just do what came naturally and worked well with Mari’s voice, so it was really refreshing. There’s something very rejuvenating about starting a new project with no expectations behind it. With the new Helix album releasing on August 24, will you be incorporating any of the new music into the live show on your upcoming tour? Shear: Helix and Assemblage 23 are two distinct projects, so I don’t plan to incorporate any Helix stuff into A23, but we will be performing as Helix and are already booked for the Dark Side of the Con in March of next year outside N.Y.C.. We have a couple other shows possibly in the works, too. It’s tough to get the ball rolling until you get the actual album out and in people’s hands. Can you tell us about the upcoming ColdWaves Los Angeles event that you are a part of? Shear: We did ColdWaves Chicago last year and it was damn near a religious experience. To get to share the stage with so many artists who had been big influences on me when I was starting out was an unbelievable honor and so much fun. So, when Jason Novak contacted me about playing the L.A. version this year, we didn’t even have to think twice. It’s a really fantastic and well run festival and I really can’t recommend it enough. For years, we’ve wished we had festivals like they have in Europe over here in North America, and although they differ in size, festivals like this and Terminus are really doing an amazing job of bring high quality lineups of bands people might not otherwise get a chance to see. Do you plan on catching any of the other bands’ performances at ColdWaves? Are there ones that you are looking forward to, or perhaps ones you haven’t seen before? Shear: Yeah, I’m hoping to be there for the whole festival. I’m looking forward to all the sets, to be honest, but I am especially excited for C-Tec and The Black Queen. From the previews on SoundCloud, the new Helix album, Twin seems to pull from a range of influences from future garage, trip-hop, and U.K. house. Were you surprised by the direction that any of the songs went? Were these styles that you had wanted to explore previously? Shear: You have a good ear! One of the things Mari and I really bonded over was musical tastes. We both love a lot of the stuff out of the U.K., both in the past and the present, like grime and garage. So, when we were discussing what kind of direction to take the project, that seemed like a natural thing to explore. It’s really refreshing to try doing something completely different from your normal comfort zone, too. How was it to not have the main vocal responsibilities in Helix? What is coming up for next for you and A23? Shear: I’m working on new material now and hope to release a new album next year. Shear: Nope! Just hope your readers enjoy the Helix album!